A warning is put out by Fortinet for Mac users at potential risks to malware attacks. The warnings are about a Ransomware-as-a-Service or RaaS that is targeting on Mac devices. Since the widespread WannaCry attack, Mac users have been safe to malware but the attackers and cyber criminals have taken this as a new opportunity as Mac devices are easier to access. The Ransomware can attack the MacOS as software or an email from an unidentified source which will encrypt all the data on the system demanding extortion in the form of Bitcoins. Demands range from 700 dollars in exchange user’s data which may or may not be possible to decrypt. Jumping on to the next level, some attackers have also demanded shares and profits of the user’s company instead of usual extortion. 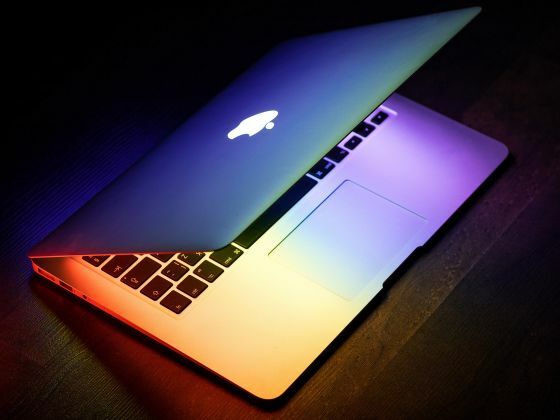 As the Mac users don’t usually backup their data and install security updates regularly, malware attackers have been encircling the MacOS for RaaS. From big companies to small business, the popularity of MacOS and its vulnerability to cyber-attacks makes it the target of ransomware attackers and cyber criminals to gain more money from company’s profits and shares. C-suite is used by a majority of marketing teams and professionals who share valuable and confidential information with less data security and encryption. And also, since the majority of users are Windows based, Mac users are often deceived into thinking that their system and files are safe which making their devices more appealing to Malware attackers. And this is the reason why the attackers are preying Mac users worldwide. Fortinet and other cyber security firms have appealed people, especially for Mac users to ensure that their devices are protected from all kinds of threats and malware. With regular changes in networks, updating your system and security services will make your device safe from evolving malware attacks. Most of the devices are more vulnerable because the data is not encrypted. Encryption of data on your device will make your data more secure. Endpoint solutions are one of the best ways to protect your device and data from potential threats as they can they decrease the risk of any security threat from entering into the secure network. Emails are the major source of malware and ransomware threats but if you put up a good email security solution with good web security tools and cloud based security, your device will be more secure and you will easily be able to detect and respond to threats. So these are few ways by which you can easily prevent ransomware getting into Mac OS. You can check out our decryptor tools which are 100% working for few of the Ransowmare released till date.